3+ years' experience with Android APIs and Frameworks. Translate designs and wireframes into high quality android applications. Experience with offline first methodologies, threading, and performance tuning. Knowledge of the Third Party Libraries like Retrofit, RxJava, Coroutines, Room, Epoxy, and know how to get the desired library for the desired library task. Experience in Android Software Architecture like MVP, MVVM, MVI and preferred MVVM with android architecture components. 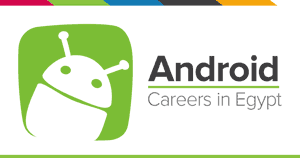 Experience in Android Design Patterns, Problem Solving Techniques, SOLID Principles and Clean Code Architecture. Good knowledge in Unit Testing and UI Testing Methodologies. Experience in Kotlin is a very good PLUS. Should be self-driven and operate independently with less guidance.